For this party, I created two balloon columns using spring lilac, lime green and red balloons. For each topper, I used a large Little Mermaid foil balloon. 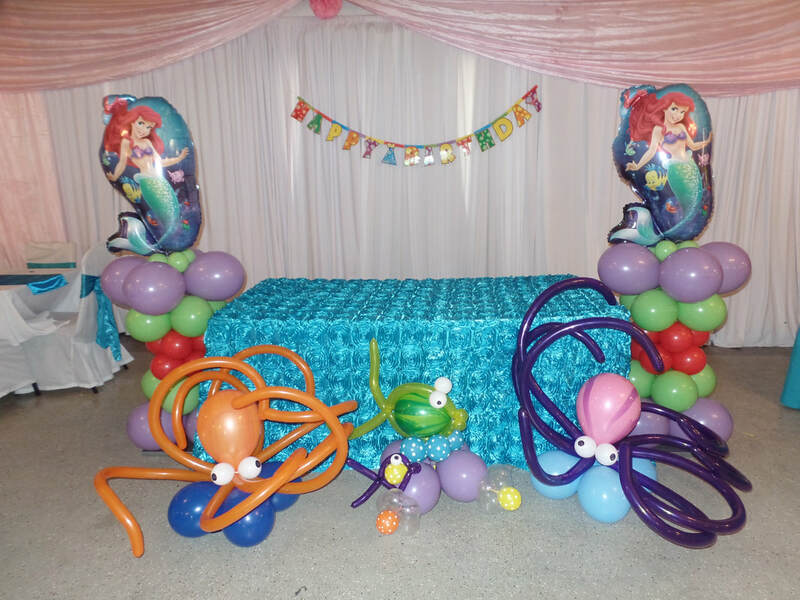 I also created a floor decoration making two balloon octopuses and a large fish and a little fish. She has friends! 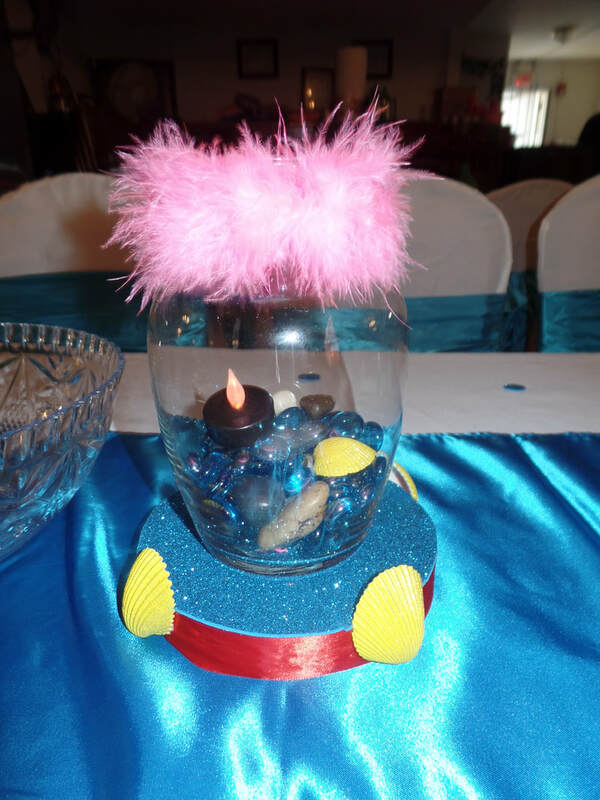 I also made the table centerpieces.